Stephen Mardigan is serving a sentence of 15 months in federal prison for running what was believed to be Maine's largest illegal gambling operation. A halal market. A sandwich shop. A pool hall. A tanning salon. 2 Tides Edge Road, Cape Elizabeth. Home sale proceeds of $700,000 turned over to the federal government. 12 Tides Edge Road, Cape Elizabeth. Waterfront home listed for $1.47 million. 13 Tides Edge Road, Cape Elizabeth. 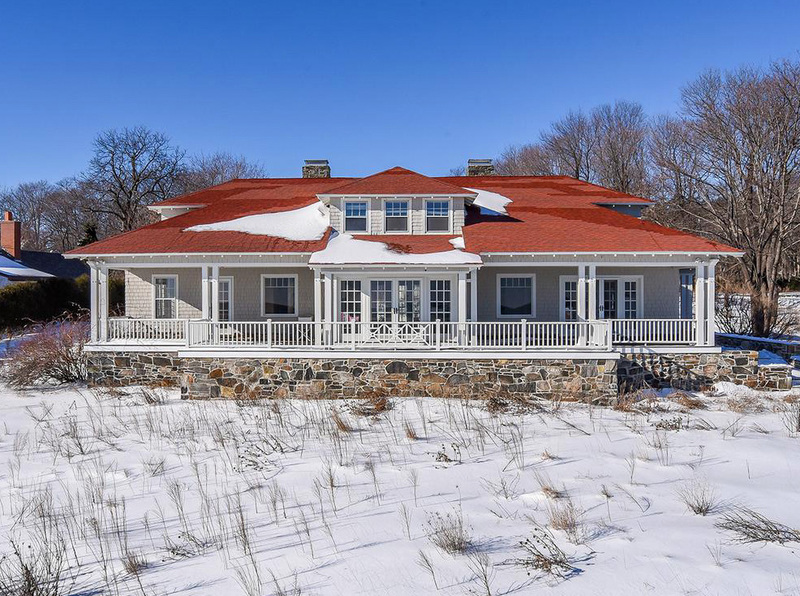 Waterfront home listed for $2.1 million. 197 Main St., Westbrook. Residential rental property listed for $176,000. 408 Forest Ave., Portland. Restaurant building listed for $468,600. Currently occupied by Crown Fried Chicken. 726 Forest Ave., Portland. Commercial building not yet listed for sale. Currently occupied by Sun Tan City. 757 Forest Ave., Portland. Vacant brick building with onsite parking listed for $407,000. 767 Forest Ave., Portland. Vacant retail or office building listed for $204,600. Formerly the Avenue Auto Co.
777 Forest Ave., Portland. Commercial building not yet listed for sale. 785 Forest Ave., Portland. Vacant retail building listed for $364,100. Formerly Rockan’s Auto Sales. 815 Forest Ave., Portland. Brick building listed for $511,500. Currently Ernie’s Pool & Darts. 865 Forest Ave., Portland. Restaurant building listed for $1.21 million. Currently occupied by Mekong Asian Bistro. 881-883 Forest Ave., Portland. Building and parking lot listed for $1.29 million. Currently occupied by Maine Savings Federal Credit Union; other side is vacant. 78-96 Bell St., Portland. Industrial property with five buildings listed for a total of $1.77 million. Currently occupied by some tenants, but more than half of the 24,000 square feet is vacant. 32-34 Vannah Ave., Portland. Mixed-use building listed for $429,000. Two apartments on the second floor. Retail space on first floor currently occupied by the Makkah Halal Market. 31 Hersey St., Portland. A 0.12-acre lot near Woodfords Corner listed for $93,500. Property currently includes a two-car garage. 937 Congress St., Portland. Building listed for $390,500. Currently occupied by The 5 Spot sandwich shop. 460 Baxter Blvd., Portland. Home listed for $1.07 million. 363 Sebago Lake Road, Gorham. Farmhouse and detached garage for commercial use listed for $247,000. These Portland businesses were all once tenants of Stephen Mardigan, who pleaded guilty last year to unlawful gambling, money laundering and filing a false tax return. He is currently serving 15 months in a federal prison in Massachusetts, and his plea agreement also required him to forfeit 19 properties valued in court documents at more than $13 million. Now the former bookie’s tenants are paying rent to the federal government, which has started to list the buildings for sale. A spokesperson for the U.S. Marshals Service said last week that the government intends to honor all leases in good standing in this case, even though a criminal forfeiture can terminate an existing agreement. But some businesses took extra steps to protect themselves during a change in ownership, and others were wary of a still unknown landlord. “It all depends on who buys it,” Rosetta Iannaccone said. 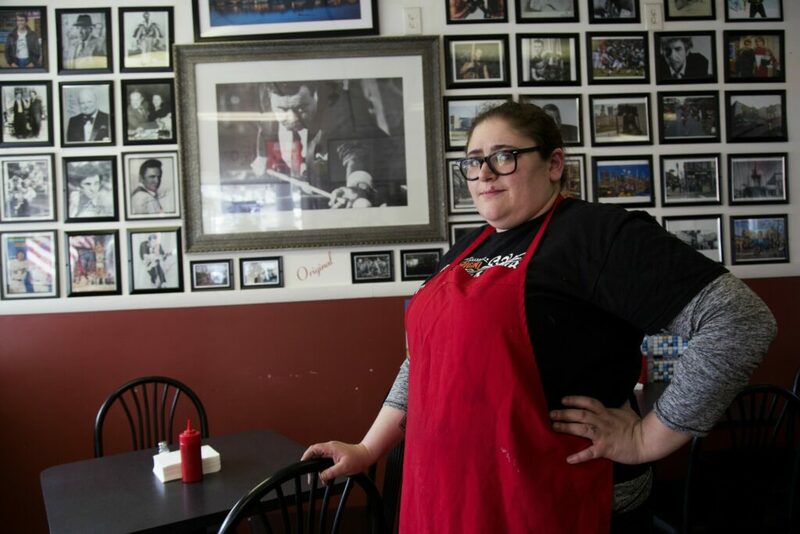 She and her husband, Keith Costello, own The 5 Spot sandwich shop on Congress Street. Iannaccone said they didn’t know when they signed their lease in April 2017 that federal agents had seized millions of dollars in cash, jewelry and property from Mardigan and three other people just days earlier. They filed a petition in court last year to assert their interest in their building, and court documents show the federal government agreed to uphold their lease. Iannaccone said they cannot buy the building themselves, so they are hoping for a landlord who will want them to stay beyond the remaining three years on that agreement. The listing price on the 2,100-square-foot building is $390,500. “Hopefully, somebody comes in who wants a reliable tenant, which is what we are,” Iannaccone said. Mardigan, 62, ran a used car dealership on Forest Avenue. 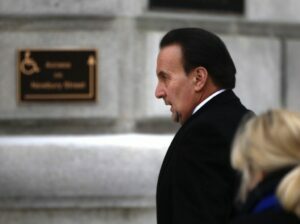 Federal authorities have said he also ran the largest illegal gambling operation in Maine, although his lawyers said its size and scope were exaggerated. Court documents show he took bets on sports games – college and pro basketball, college and pro football, baseball, professional hockey, stock car racing and golf tournaments. The documents say bets typically ranged from $30 to thousands of dollars, but two gamblers in particular wagered more than $4 million through Mardigan. Before his sentencing, Mardigan wrote a letter to the judge about how he now understands he had a gambling addiction. Prosecutors brought the money laundering charge because they said Mardigan funneled his gambling profits through his dealership and into commercial and residential real estate. In April 2017, federal officials seized 30 properties owned by Maridgan – a civil forfeiture, which does not require a criminal conviction. In May 2018, Mardigan pleaded guilty in U.S. District Court in Portland. While his plea agreement required that he give up his ill-gotten gains, not all of his real estate holdings were impacted. The government ultimately took 19 properties and released 11 to Mardigan. His attorney, Bruce Merrill, said the federal government let him keep any property in which he had put less than $100,000. The combined assessed value of the properties still owned by Mardigan is more than $3.2 million, according to the most recent records available. His real estate portfolio still includes a Starbucks location and an Asian market on Forest Avenue. He also kept the buildings on Chestnut Street that house the city’s family shelter. Portland spokeswoman Jessica Grondin said the city still pays more than $22,000 per month to Mardigan through his partner, Patricia Nixon. Mardigan owes more than $3 million to the Internal Revenue Service in back taxes and fees, but his attorney said he wasn’t aware of any plans to sell the remaining properties. The properties that were turned over to the federal government have a value of about $13 million. They ranged from a small Portland garage valued at $37,600 to a Cape Elizabeth waterfront home valued at more than $1 million. Sixteen of those properties were on the market as of Friday evening. Money from all the sales will go to a federal fund that can sometimes be shared with victims and other law enforcement agencies, and it will not count toward Mardigan’s back taxes. The small number of residential properties are all unoccupied, according to their listings. One home on Tides Edge Road in Cape Elizabeth sold before Mardigan’s sentencing, so the $700,000 proceeds went to the forfeiture. 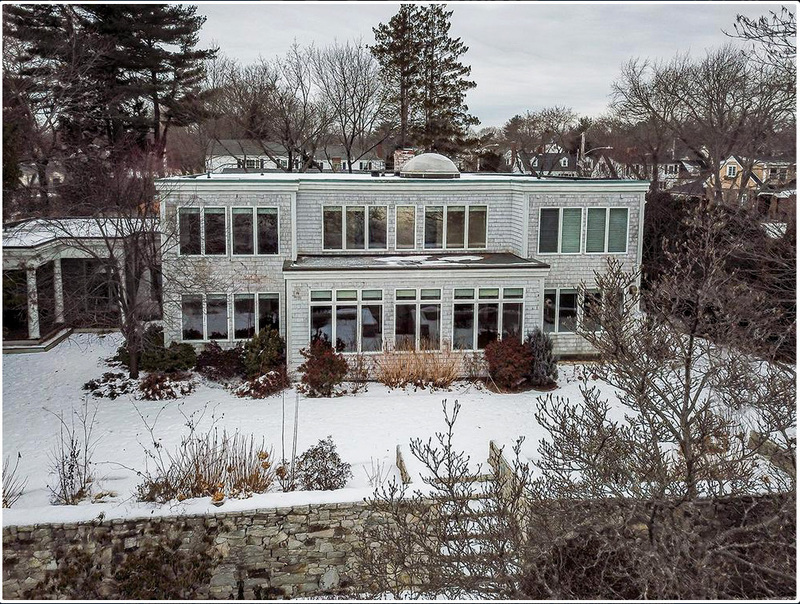 Two other waterfront homes on that same street are still listed for nearly $1.5 million and $2.1 million. The house where Mardigan lived on Baxter Boulevard in Portland is for sale for $1.1 million. Most of the properties are commercial, however. Some – like the Avenue Auto Co. building where Mardigan accepted or paid out money from bets, according to court documents – are empty. One – like another car dealership on Forest Avenue – is recently vacated. Rockan’s Auto Sales moved from one of Mardigan’s properties to a new location in Westbrook, and it is not clear whether the cause was the criminal case and forfeiture. A message at the dealership was not returned. Others are at least partially occupied by tenants. Maine Savings Federal Credit Union signed a lease with Mardigan for its Forest Avenue branch in December 2018. An executive said the credit union included language in the lease to protect it from the impending criminal forfeiture. The building is empty on one side and is listed for $1.2 million. “We just worked through our legal counsel early on in the process, knowing what we had read in the papers,” said Rob Carmichael, the senior vice president for human resources, IT and training. He declined to say how long the lease would last. Other business owners were confused about the next steps. The spokesperson said in an email last week that the U.S. Marshals Service was still working on agreements with a small number of tenants, but she did not identify which ones they were. “If I have to move, I lose money,” said Fawaz Hassan, who owns the Makkah Halal Market on Vannah Avenue. Tony Nguyen said Thursday that no one has assured him that a new owner will honor his lease. He opened the Mekong Asian Bistro on Forest Avenue in 2002 and rented from Mardigan for more than a decade. He said he might have to close the restaurant if the next landlord doesn’t want him to stay, and he would have to find another job to pay the mortgage on his family’s new home in Falmouth. Nguyen said Mardigan was a responsive landlord and took care of maintenance projects when needed. Erik Urbanek, a commercial real estate agent in Portland, predicted the properties with high-quality tenants would be attractive, in part because an existing lease can help a buyer get bank financing. He also said the sales could take months because commercial properties don’t move as quickly as residential ones. Urbanek is not listing any of the former Mardigan portfolio, but he said people who work in real estate will be watching the listings closely.